After a massive online campaign against Bell and its tactic of using regulator CRTC to dictate competitors' pricing models, media outlets across the country are reporting Bell's inflated data usage charges. This is the first time mainstream media has actually bothered reporting on the issue of ISPs like Bell Internet, formerly Sympatico, charging much more for bits and bytes than customers actually use. This is just yet another blow to Bell Canada's PR mess which started in January 2011 after the CRTC blinding sided with it. 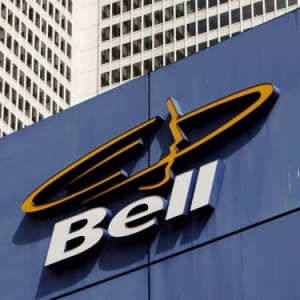 A supposed 'glitch' in Bell's metering software has been blamed for the over-charges, though many across Internet forums have complained about being nickled and dimed for bandwidth they never actually used for a while now with both Bell and Rogers broadband services. This comes as another jab against Bell during a national outrage against the Usage Based Billing (UBB) model which gives service providers permission to charge over-usage of $1.00 - $5.00 per GB, most often a 2,000% to 20,000% inflation above market rates when estimated actual bandwidth costs of around $0.01 to $0.03 per GB and a maximum of $0.10 in more rural areas. The Canadian Radio-television and Telecommunications Commission recently ruled that Bell Canada and other large providers in the country were allowed to dictate the pricing schemes of smaller, independent providers across the country. The most vocal of the smaller ISPs is Teksavvy, an Ontario-based service provider offering its users the option of unlimited Internet connectivity for a reasonable price. The Canadian public rightfully view the changes in pricing as nothing less than a greedy money-grab, rightfully so because bandwidth cannot be compared to a tangible asset like water or electricity; the capacity exists and that's exactly what customers are paying for. Moreover, the networks aren't completely owned by the major providers in a sense, since taxpayers paid for the large majority of these through direct taxes or kickbacks. Though the headline might be a bit quick to jump the gun, we feel that such high markups for such a cheap service like bandwidth ought to be called a scam: Making money without providing a real service. The second scandal is the actual reason for such extraordinary charges for consumer Internet connections. Each of the large providers in Canada are seeing their business model in other media assets fall because of cheaper alternatives online such as Netflix, CTV and CBC streaming and even video sharing services like YouTube. Canadians have been increasingly more tech savvy by adopting other, legal means of accessing commercial-free movie and television services online. Bell currently sells its basic Internet package as a 5 Megabit-per-second service with a maximum monthly usage of 25 Gigabytes. Put into perspective, this would allow customers to use their 5 Megabit connection for a maximum of 56.8 hours or just over 2 days per month without paying extra bandwidth charges. Bell Canada currently only provisions a 0.25 Megabyte-per-second connection to customers so nobody is actually technically receiving the 5 Megabit connection they pay so much for. Following an online petition to stop Usage Based Billing, Western-Canadian cable provider Shaw Communications promised to delay their implementation of UBB and will provide customers with a forum to input their feelings over the next 2 months. No other provider has made such a move.